Made with woven fabric, the NikeLab Collection Men's Shorts feature a sweat-wicking interior with a stain-and-water-repellent exterior to keep you dry. The oversized silhouette falls below the knee, giving you a spacious feel. 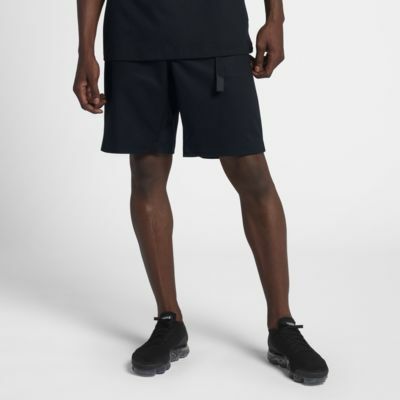 Made with woven fabric, the NikeLab Collection Men&apos;s Shorts feature a sweat-wicking interior with a stain-and-water-repellent exterior to keep you dry. The oversized silhouette falls below the knee, giving you a spacious feel. The adjustable waistband features an extra-long web belt to help keep the shorts in place. Fabric: Body: 98% cotton/2% elastane. Pocket bags: 65% polyester/35% cotton.